It’s not uncommon for an appraiser to appraise a property without an owner present, particularly in the case of vacant homes. But, what if you find yourself on the receiving end of accusations about property damage after a visit to appraise a house? Marks on the wall, greasy stains on the carpet, weather damage because someone left a window open, or — worse — stolen property. How can you prove that you didn’t cause the damage if you’re accused of it? The fact is, it’s more difficult when you’ve undertaken an appraisal unattended, as it’s your word against someone else’s. Worst case, you could be sued to claim compensation for damage to a property. Which is why it’s imperative to have adequate errors and omissions insurance in place to protect yourself and your real estate appraisal business. 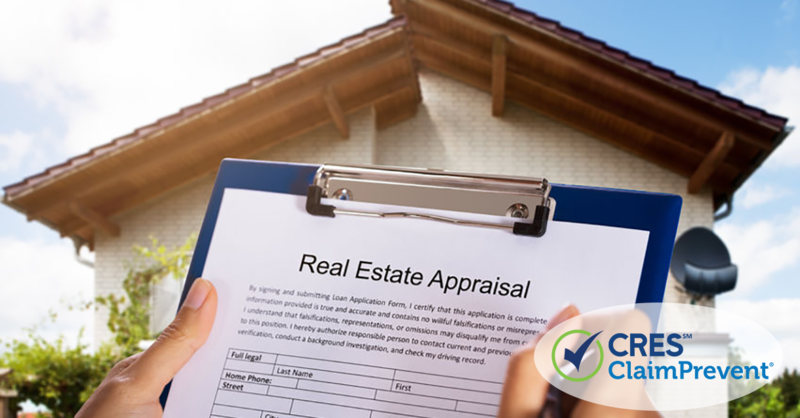 One of the greatest risks appraisers face is when there’s a mismatch of expectations between you and the homeowner. To avoid this, communication is key, to identify exactly what the client is seeking, and also to provide realistic guidance about what is possible for their property. It’s not uncommon for appraisals to not meet the expectations of homeowners, who invariably think their property is worth more than the realistic market value. In fact, the Journal of Housing Economics has published a study showing that homeowners, on average, overestimate the value of their properties by approximately 8%. This can stem from an overestimation of the value of home improvements and renovations, where a client has invested heavily into the property. But those investments may not have been on things that have a significant impact on the overall value of the home. Or if a client has borrowed against the home, their estimation of value can become more clouded by what they need versus what the house is actually worth. What if it’s your lapse of judgment which results in the undervaluation of a property — and an unhappy homeowner? Sometimes a lapse in judgment can lead to unexpected and very negative consequences. No matter how unintentional your error in judgment is, in this situation, you might find yourself facing a lawsuit on the basis of negligence or incompetence. Failure to sufficiently exercise due care in your appraisal duties and failure to provide a credible appraisal can also lead you down the pathway of a breach of contract claim. As a result, you may be denied payment and be required to pay damages. Everyone is human, and mistakes can be made in any profession. But, failure to protect yourself and your business can have a significant and detrimental impact. To protect against the risks associated with appraising properties, you need Errors and Omissions insurance. CRES offers a customizable policy so you can choose your coverage and limits to suit your business. CRES E&O + ClaimPrevent® provides the best value in residential appraiser E&O insurance coverage, for any size or specialty. Legal advisory services are also available 7 days a week. This gives you access to a highly qualified team of attorneys who can assist you to resolve any issues that arise, before they turn into major catastrophes in your business. CRES E&O Insurance for appraisal professionals offers up to $3,000,000 in coverage, with out-of-pocket claims expenses from $2,500-$100,000. You can cover for past or future appraisals to ensure maximum protection, Payment for premiums can be made annually or via one of CRES’s payment plan options. 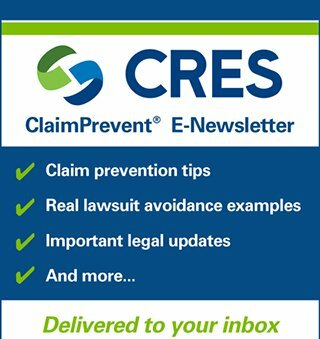 Contact CRES about E&O insurance. We can provide you with a tailored solution to meet your needs. You can find out more and request a quote online at the CRES website or you can contact the team at CRES on 800.880.2747.